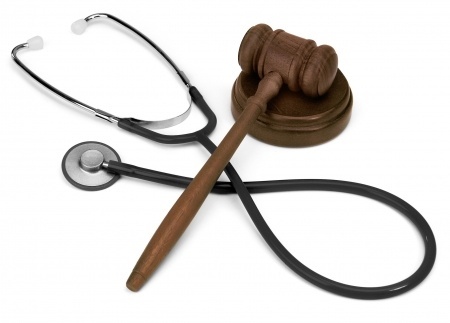 Medical malpractice cases are one of the most complicated types of legal cases. It is often difficult for medical professionals to admit they have made a mistake, and there are many incentives in the health care industry to cover up the negligence of a medical professional. The Wirth Law Firm’s Oklahoma City Medical Malpractice Lawyer is experienced in dealing with complex cases. You need lawyer who not only knows the law, but also knows who to partner with to win medical malpractice cases. A medical expert will need to involved early on in a medical malpractice case to keep the other side honest. Don’t try and deal with medical malpractice insurance companies and doctors by yourself. Find a medical malpractice lawyer to review your case and guide you through the legal process. When something goes wrong at the doctor’s office or hospital, receiving fair recovery seems like a daunting project. However, if you have an Oklahoma City Medical Malpractice Attorney in your corner, you can worry about getting healthy while your attorney fights for your legal rights. The doctors and nurses have plenty of people standing up for them, who is in your corner? Having the right lawyer will make all the difference as all of the complex evidence is analyzed and processed. You have been victimized enough, its time to find someone to fight for your rights. Medical malpractice cases are not only complicated, but can drag on for years. Everyone’s individual goals are different. You deserve an Oklahoma City Medical Malpractice Attorney who understands your situation and your goals. You need an attorney experienced enough to take a case all the way through a trial and able to negotiate a fair and adequate settlement short of a full trial. Discover a lawyer who will listen to your facts and situation and work with you to develop a strategy to accomplish your goals. For a free consultation with an Oklahoma City Medical Malpractice Attorney call the Wirth Law Office- Oklahoma City Attorney at (918) 213-0950. You can also submit an email question from the top right corner of this page. We will respond as quickly as possible to all questions.